As a homeowner, you want to keep your lawn looking its best in order to boost your curb appeal and enjoy your landscaping. 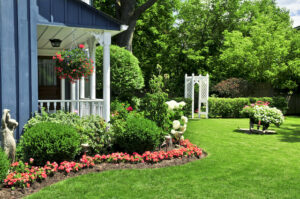 This makes proper lawn care essential to keeping your home looking its best and keeping your landscaping in good health. However, there are some common lawn care mistakes that you can easily avoid by staying aware of common lawn care myths. Here are a just few common myths about caring for your lawn to keep in mind. Many people believe that all lawns should be watered daily. However, this depends on the type of grass in your lawn, the type of soil in your area, and even the time of year. Some lawns will need deep irrigation less frequently than others, so it’s important to talk to your trusted landscaping and lawn care professionals about how often you should be watering your lawn. Americans spend a lot of time mowing the lawn every year. It’s a common myth that you should keep your grass cut short to keep your landscape looking neat and appealing. But over-mowing your grass can have an impact on your lawn’s health. Cutting grass too short can dry it out and put stress on the roots, causing brown spots and drying across your lawn. 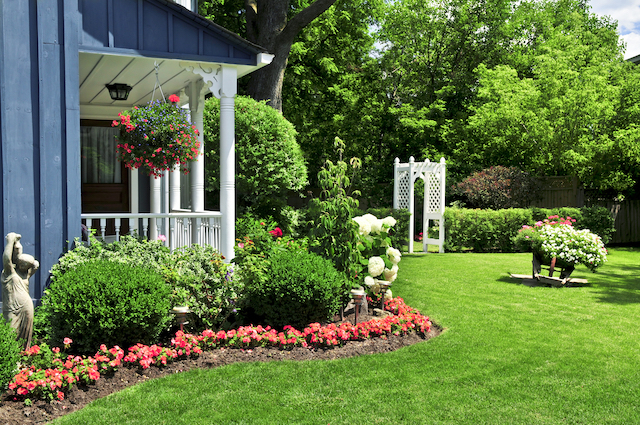 Be sure to avoid cutting your grass too short to avoid long-term stress on your landscaping. There are several myths out there about aerating your lawn. Some will even say that you can easily aerate your lawn using spiked shoes. You can use spiked shoes to kill grubs, but trying to aerate your lawn with them can actually compact your soil and make your lawn less healthy. Many people believe that you should remove grass clippings from your lawn to promote a healthier, more beautiful lawn. However, grass clippings are actually mostly water, so they break down very quickly and actually contribute to your lawn. Clippings will actually act as a fertilizer for your lawn, breaking down and promoting the health of your soil and grass. This entry was posted on Friday, February 1st, 2019	at 5:15 pm	and is filed under Landscaping Maintenance	. You can follow any responses to this entry through the RSS 2.0	feed. Both comments and pings are currently closed.